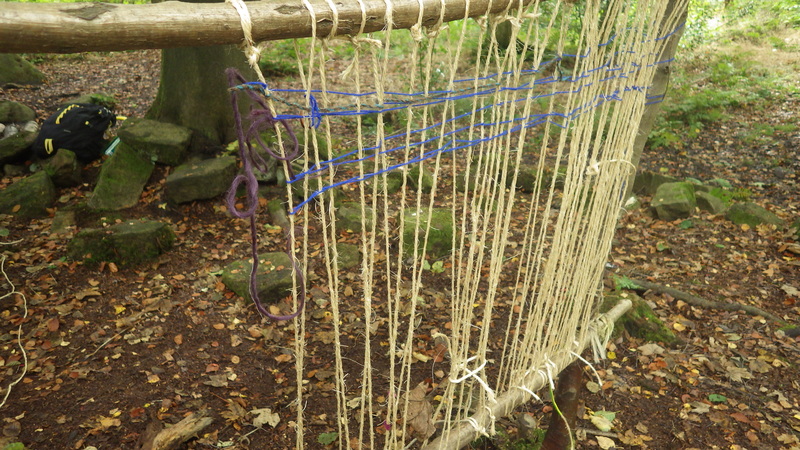 Saturday and the sun shone for Forest School for All. 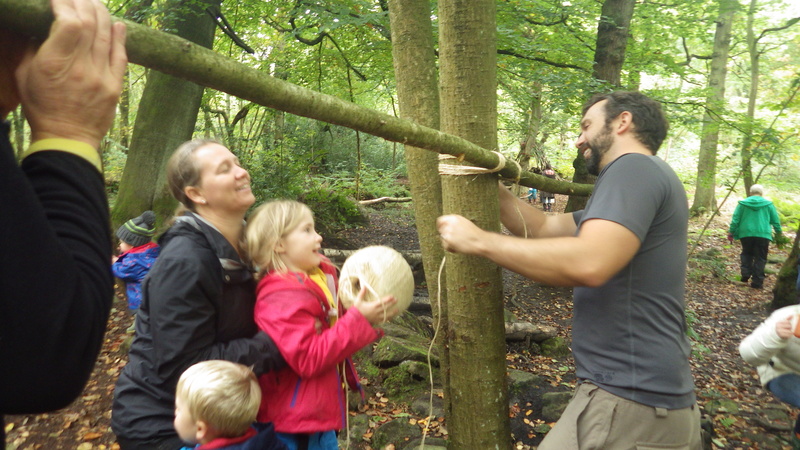 Around 60 people joined us to work together to build a beautiful new den, woodland chimes, a weaving station and a climbing frame for our forest school site….as well as making sure it was cleared of brambles and that plenty of wood is chopped and stacked for the winter months ahead. It also provided a chance for people to meet, kids to play and create dreamcatchers and practice knot tying and for everyone to enjoy a lovely relaxing time – helped by hot drinks and sweet treats. A big thank you to everyone attended and worked hard. You raised £100 for preschool. We’re a charity and rely on fundraising like this to give our kids such a special experience. If you missed this one or fancy doing it all over again, come along and join us for our next Forest School for All event on 5th December. This entry was posted in Uncategorized on October 14, 2015 by grindleford13. Thanks for posting this. It was great to be a part of the day and for everyone to muck in together to make it such a success. 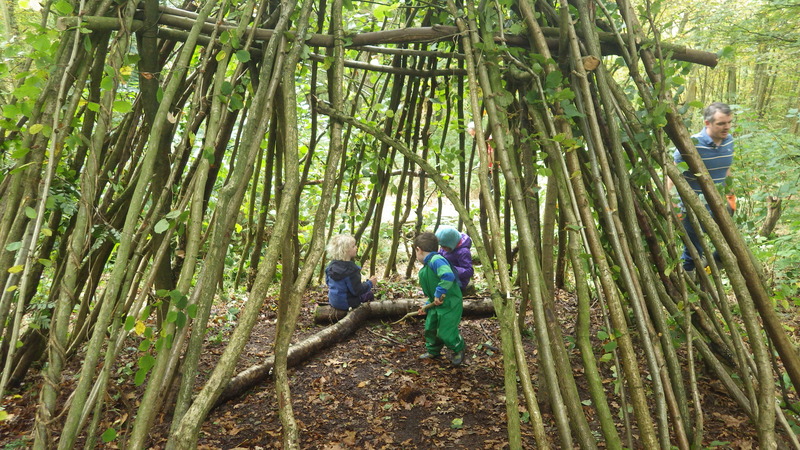 The Forest School site is even more magical now after all your hard work ,the children today were very excited to play in the new den and noticed the other changes and improvements too.